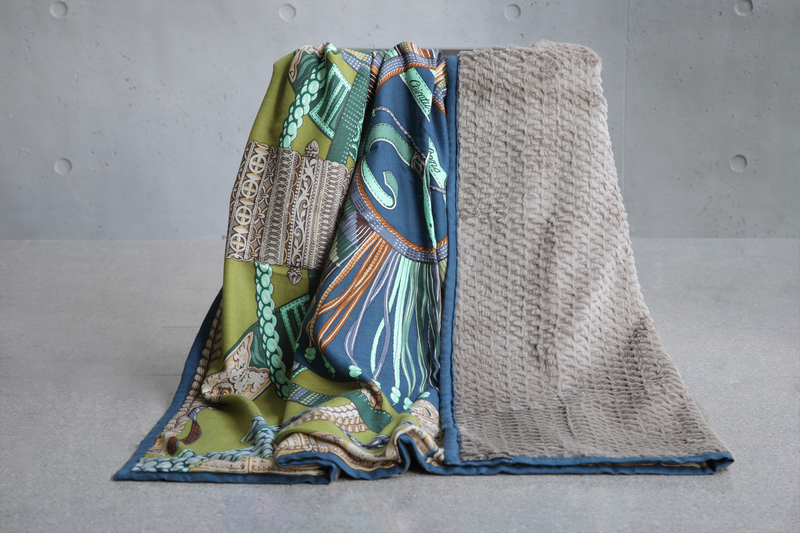 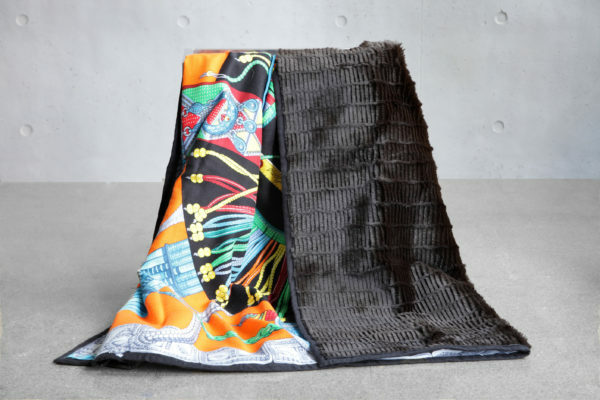 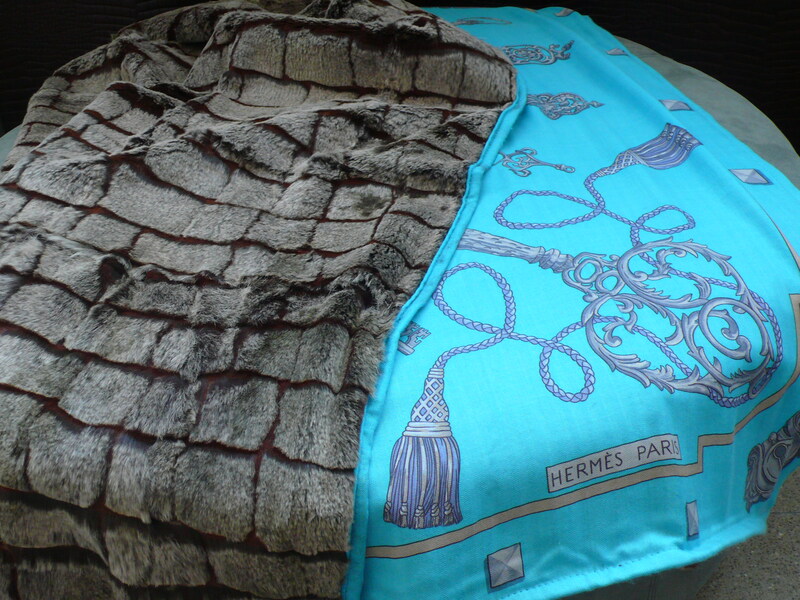 These beautiful hermes shawls were supplied by the client, to which we added real textured fur linings. 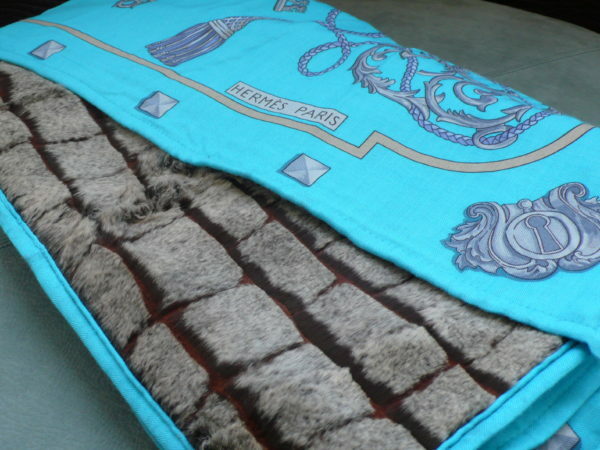 These textured were achieved through hand and mechanical shearing techniques. 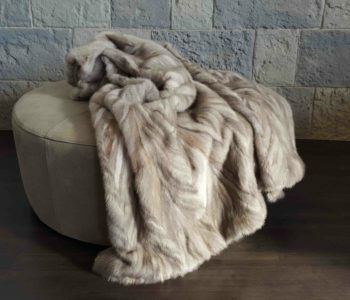 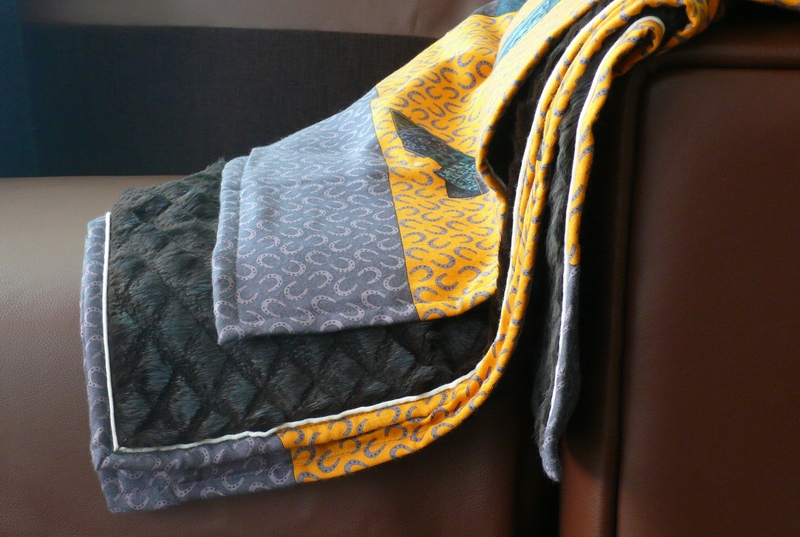 Bespoke linings can be applied to any client shawls and blankets, in your preferred colour and texture or fur. 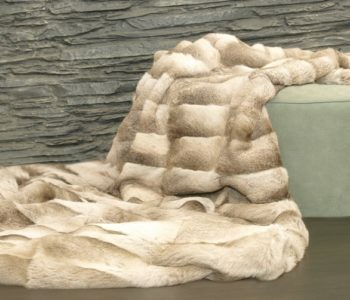 Alternatively, they can be lined in a different material of your choice.